Senator Elizabeth Warren speaking to supporters in Salem, N.H. in March. Will 2019 be the year that Congress blocks the federal government from enforcing prohibition in legal marijuana states? A bipartisan team of lawmakers in the House and Senate are optimistic that it will, and they introduced legislation on Thursday to accomplish that goal. Representatives Earl Blumenauer and David Joyce filed the Strengthening the Tenth Amendment Through Entrusting States (STATES) Act, appearing alongside cosponsors Representatives Barbara Lee and Joe Neguse at a press conference. Senators Elizabeth Warren and Cory Gardner filed the Senate version of the bill. The legislation would amend the Controlled Substances Act to protect people complying with state legal cannabis laws from federal intervention, and the sponsors are hoping that the bipartisan and bicameral nature of the bill will advance it through the 116th Congress. President Trump voiced support for a previous version of the legislation last year. “I’ve been working on this for four decades. I could not be more excited,” Blumenauer told Marijuana Moment. While other legislation under consideration such as bills to secure banking access for cannabis businesses or study the benefits of marijuana for veterans are “incremental steps that are going to make a huge difference,” the STATES Act is “a landmark,” he said. The congressman said it will take some time before the bill gets a full House vote, however. Representative Jim McGovern recently suggested that the legislation would advance within “weeks,” but Blumenauer said it will “be a battle to get floor time,” and he stressed the importance of ensuring that legislators get the chance to voice their concerns and get the answers they need before putting it before the full chamber. There are 26 initial cosponsors — half Democrats and half Republicans — on the House version. Representatives Ro Khanna, Lou Correa, Ed Perlmutter, Matt Gaetz, and Don Young are among those supporters. The previous version ended the 115th Congress with 45 cosponsors. On the Senate side, there are 10 lawmakers initially signed on: Warren and Gardner, along with Senators Catherine Cortez Masto, Michael Bennet, Amy Klobuchar, Ron Wyden, Dan Sullivan, Kevin Cramer, Lisa Murkowski, and Rand Paul. “Our federal marijuana laws are outdated and pose a threat to our public health and safety. Marijuana should be legalized, and we must reverse the harm of these failed policies by wiping clean the records of those unjustly jailed for minor marijuana crimes,” Warren said in a press release, although the STATES Act does not contain provisions addressing past cannabis convictions. 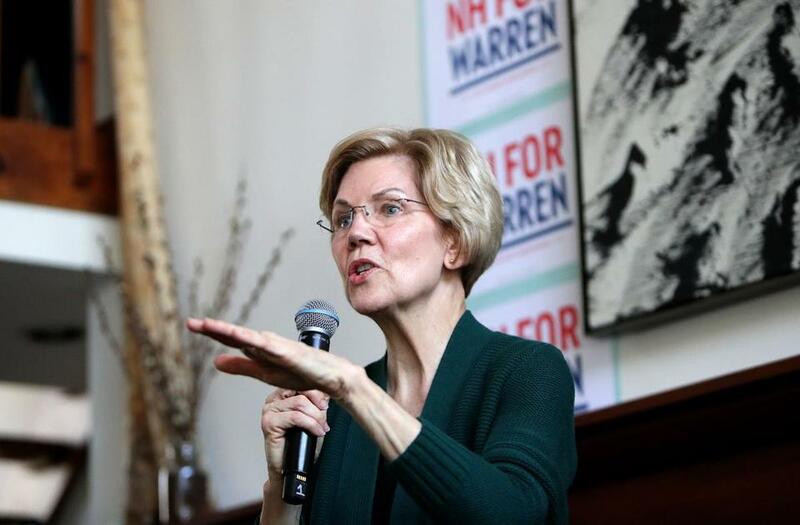 “Congress should take immediate action on these important issues by passing the bipartisan STATES Act and protecting states, territories, and tribal nations as they implement their own marijuana laws without federal interference,” she added. For the most part, the latest versions of the legislation are identical to the previous Congress’s bills, though there are two exceptions. Previously, there was a provision exempting hemp from the definition of marijuana, but that was removed, presumably because it is no longer needed in light of the passage of the 2018 Farm Bill, which federally legalized the crop. Among other data points, the office would be directed to collect info on “traffic crashes, fatalities, and injuries in States that have legalized marihuana use, including whether States are able to accurately evaluate marihuana impairment in those incidents.” A report on those effects would be due one year after the law is enacted. The National Cannabis Industry Association, which represents marijuana businesses, also backs the legislation. According to a press release circulated by Warren’s office, the bill is also supported by the ACLU, American Bankers Association, Americans for Prosperity, Americans for Tax Reform, Competitive Enterprise Institute, Cooperative Credit Union Association, Credit Union National Association, and National Conference of State Legislatures, as well as a number of Indian tribes. Read the story on Marijuana Moment.